There is much to be discovered in Malta and Gozo. The best way to see the islands as a group is through organised day trips. You can relax and enjoy the beauty of the islands while others will take care of you and your group. Most tours include a transfer from and to your accommodation for the entire group. In addition, there are various extra services that can be selected individually or that are already included in the price, for example a lunch buffet, beverages, fruits and many more. All bookings are made via our German office. For you, this means additional protection according to the German travel regulations. This is not included in direct bookings in Malta. Further, you can book and organise your travels in advance. And you have an English speaking contact person. Below you find some information to the different group tours. The tours are a good opportunity for companies to have a tour for all with a tour operator who takes care of all details from the start (from your hotel) to the end (return to your hotel). In case of bigger events you can charter a boat for your exclusive use so that you can be the entire day/evening among yourselves. In that case, you are able to organise the tour in such a way to cater for all your needs including the route, food and beverages, the tour guide and other services important to you. A tour for a tour group offers, of course, the best possibility to see as much as possible of Malta & Gozo in a very short period of time. Further, you get to see many spots of the island, which are otherwise, especially for groups, difficult or impossible to get to. The Blue Lagoon in Comino is such an example. It can only be reached by boat and you should not miss out on it under any circumstances. Further examples are the highlights in Gozo (Ramla Bay, Blue Window, Inland Sea, Dwejra, etc.). In addition, the tour guide will take care of the participants during the tour so that the group can focus on the interesting sites and relax. 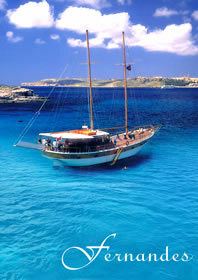 A tour to the Blue Lagoon in Comino is also possible. We are looking forward to your request. For families, we offer discounts or even free tours for children. This varies from tour to tour. Please ask us directly. Many, but not all, tours are perfectly suitable for children. For example the underwater safari, during which you will get to know the underwater world of Malta (It is best to book the tour in combination with a harbour round trip. In that case not only all transfers are included but also a lunch buffet.). 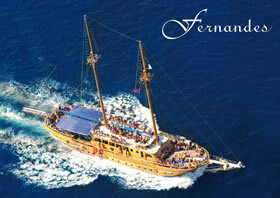 Other beautiful trips are Comino and the Blue Lagoon (please bring plenty of sun lotion) or the island round trip.